Mike Hogan, owner of A-Cent Aviation, poses in front of a flyer detailing the history of a Navy NC-4 biplane that his grandfather restored. 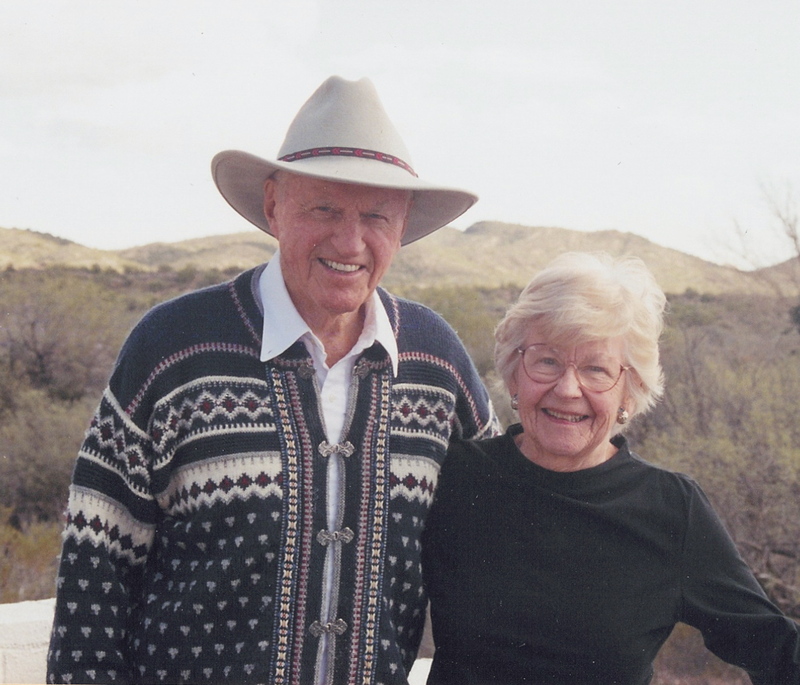 Mike and Alice Hogan, and their daughter, Kim Skinner, opened A-Cent Aviation, Inc., at Colorado Springs Municipal Airport (COS) in November 2001. In coming up with a name for the flight school, they wanted one that would place them at the top of the listing in the telephone book, and be based on an aviation theme. 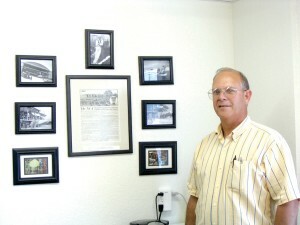 Mike Hogan is the company’s chief flight instructor. 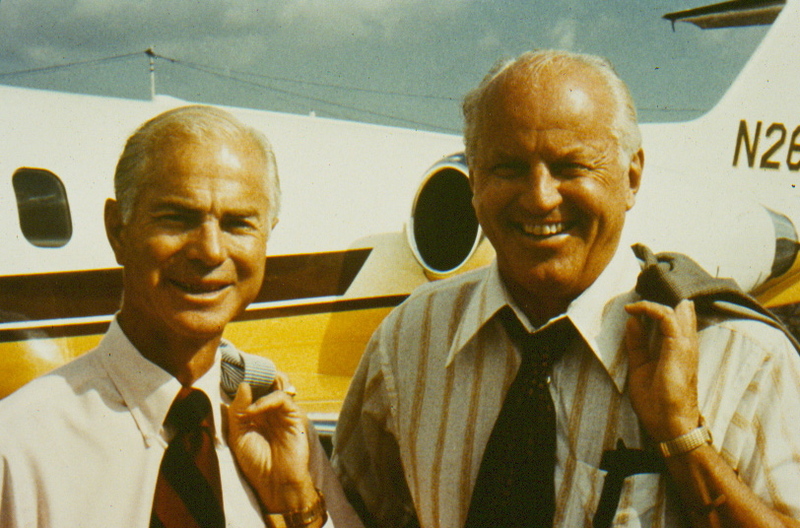 Skinner, A-Cent’s chief financial officer, provided the company’s first plane. “My granddad left me some money after he died, and I used some of it to buy a Cessna 172,” Skinner said. Skinner has an aviation lineage that would make any pilot proud. Her great-grandfather, Claude A. Hogan, earned his wings in 1918 as a naval aviator and mechanic; Orville Wright signed his pilot’s license. Her grandfather, C. A. 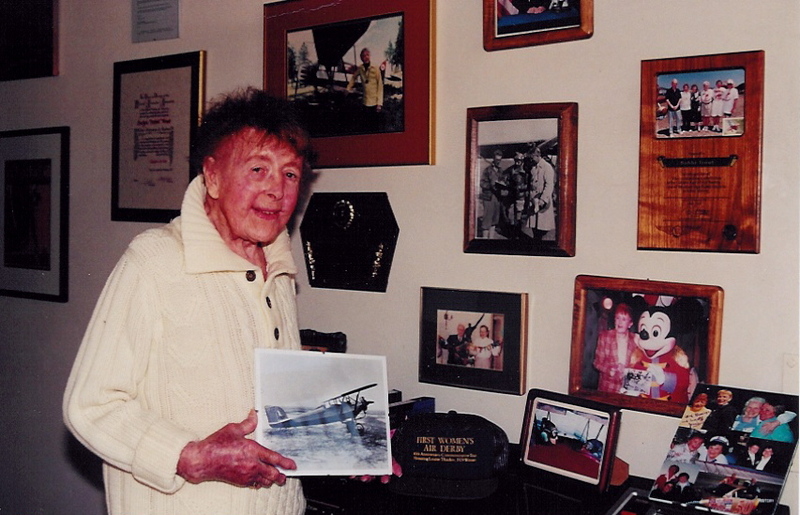 “Jack” Hogan, was a Navy aviator in WWII. While the military wanted to turn out pilots as fast as possible, he joined the Navy in 1943 as a flight cadet and was in the first class that required its new pilots to have two years of college. He finished his college courses in just 14 months and was immediately appointed squad engineering officer and test pilot. “Dad was also a member of the only class required to qualify in every type of aircraft in Navy inventory,” Mike Hogan said proudly, as he showed photos and memorabilia his father collected during his service time. Jack Hogan flew transport planes, flying boats, dive bombers, fighters, the C-47 “Gooney Bird,” the B-26 bomber and a host of Grummans, including the F3, F6, F8, and F4U, along with the rest of the Navy’s airplane arsenal. 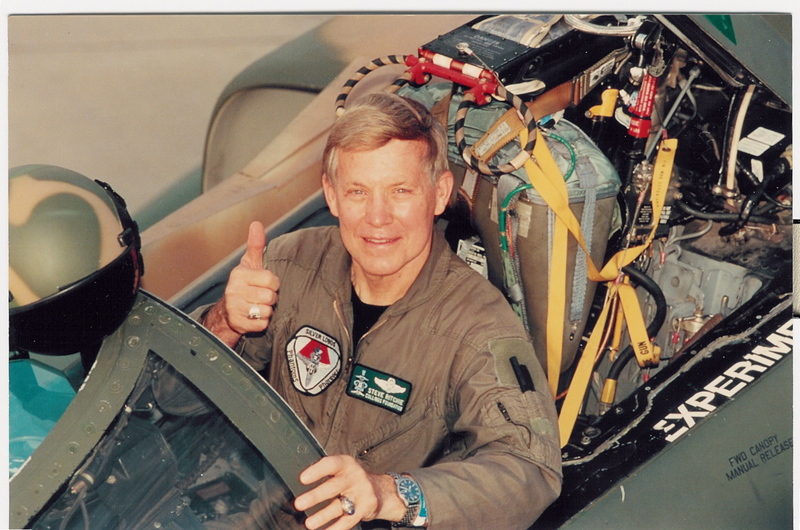 “He was also selected to fly the F9F,” Mike Hogan said. The carrier-based Grumman F9F Panther jet was under development early in the war, and ready for use near the end of WWII. With a top speed of 571 miles per hour, it became one of the most important fighters during its time. Additionally, Panthers were the first carrier jets to see action in Korea and performed almost half of all attack missions for the Navy and Marine Corps during that war. Hogan said his father also helped develop new gunnery techniques appropriate for jet fighter aircraft. In 1965, Mike Hogan started earning his wings under his dad’s tutelage. His father didn’t cut him any slack, and used his military training as the basis for his son’s lessons. 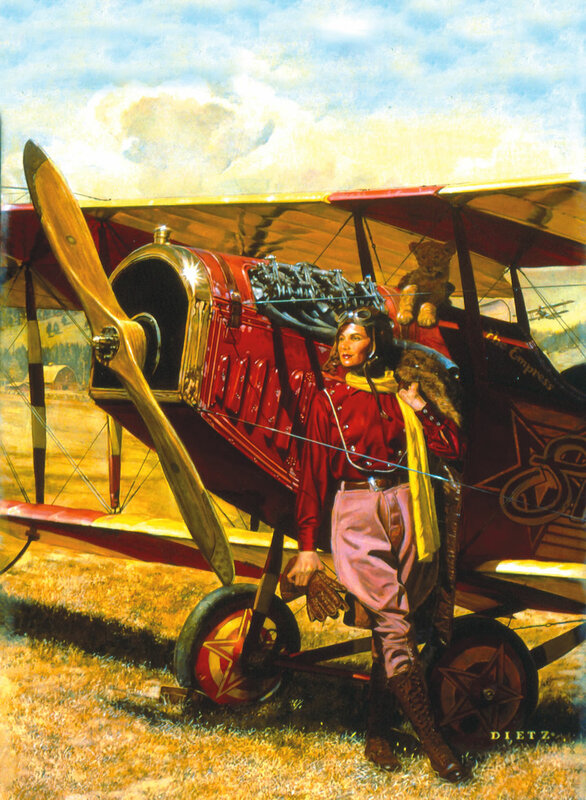 “Dad insisted I learn to fly a taildragger; he wanted me to learn on the more difficult plane, because he believed it would make me a better flier,” Hogan said. He also devised a method to simulate carrier landings. 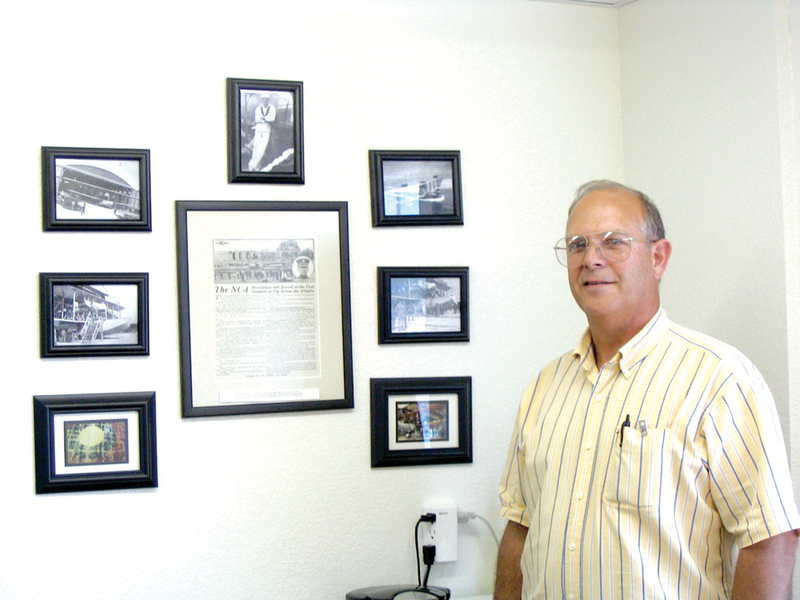 By 1967, when he joined the Army and began flight school, Mike Hogan already had his private pilot’s license. His father wasn’t happy his son chose the Army over the Navy. “Needless to say, he was plenty angry,” Hogan said. But the son was simply being pragmatic. He wanted to continue flying in the military, and the Navy required a college degree; the Army didn’t. He went to flight school, graduated first in his class, and was awarded the Orville Wright Achievement Award for having the highest combined academic and flight scores in the history of the school. Hogan did a short stint at Fort Carson in 1981, where his aviator instructional skills were put to use, but after just eight months he was sent to Fort Rucker, for training to become an aero scout instructor pilot, flying the H58 Kiowa helicopter. Hogan spent eight years as an Army deep-sea diver, certified at depths to 500 feet. He spent 10,000 hours underwater, and collected 8,000 flight hours, seven years as an air traffic controller, and another seven years as a designated FAA air traffic controller examiner. As a diver, Hogan performed underwater heavy construction, demolition, sunken ship recovery, and sabotage. When in the Army, he continued improving his ratings. “By the time I went to Army flight school I was already a certified flight instructor, instrument instructor and multi-engine instructor,” he said. After retiring from the Army in 1988, following 21 years in service to his country, Hogan went to work for Petroleum Helicopters, flying clients around the Gulf of Mexico. He only spent four years there, then moved to Little Rock, Ark. “I flew Angel One, a helicopter used for hospital-to-hospital transfer of very sick little kids, for Arkansas Children’s Hospital for the next nine years,” Hogan said. It didn’t take a lot of arm-twisting to get Hogan interested in the flight school idea, and they decided that Colorado was where they wanted to be. 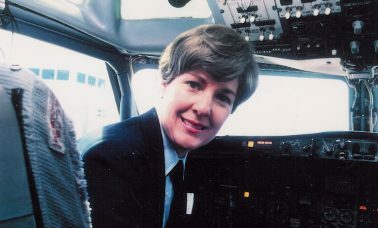 Their daughter was already here; Mike Hogan had already taught Skinner to fly, and she had the key element of a flight school—an airplane. Skinner said it took two years and a lot of hard work before they felt confident the flight school would make it. It didn’t help that they opened shortly after 9/11. Restrictions that were in place at the time added to the uncertainty, Skinner said. 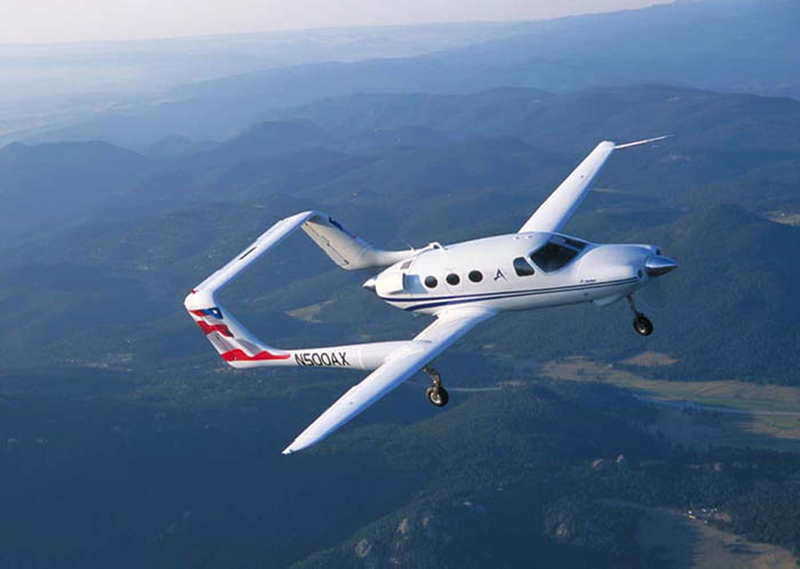 Hogan employs two fulltime flight instructors, and hires additional instructors when needed. The fleet consists of four Cessnas, a 172N, a 172S, a 172RG, and a 310Q. 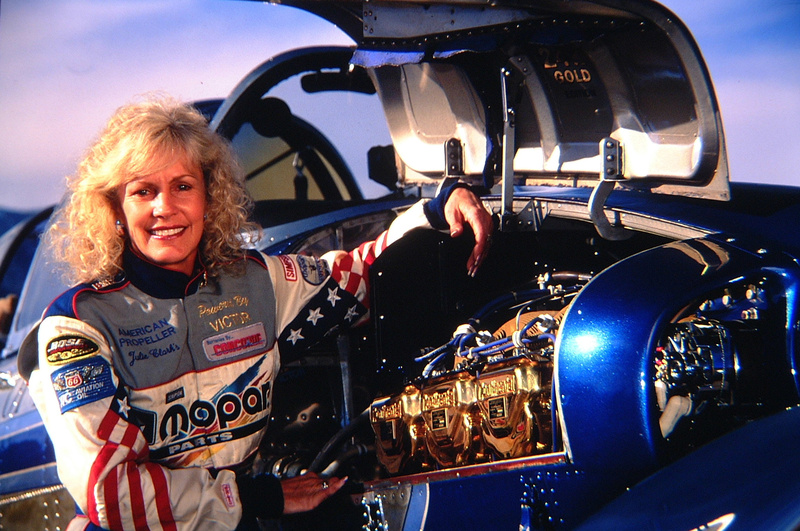 Hogan also owns a T-34, which was a primary trainer for the Air Force and Navy until about 1970. The plane is in excellent condition, but Hogan was recently forced to ground it temporarily. “The FAA recently ordered some inspections, so I’m going to fly it down to Oklahoma to have that done,” Hogan said. He planned to sell the plane, but is having second thoughts since flying it to Oshkosh with his grandson. “I realized how much fun the plane is to fly, and right now I don’t know if I could let it go,” he said. He recently displayed it at the annual “In Their Honor” air show in Colorado Springs, and it almost always had a crowd around it, keeping Hogan busy answering questions. Sometimes he teaches people to fly in it, and he’s used it to teach aerobatics. The T-34 will remain in the fleet unless he decides to sell it. In addition, A-Cent operates a small store in its office. 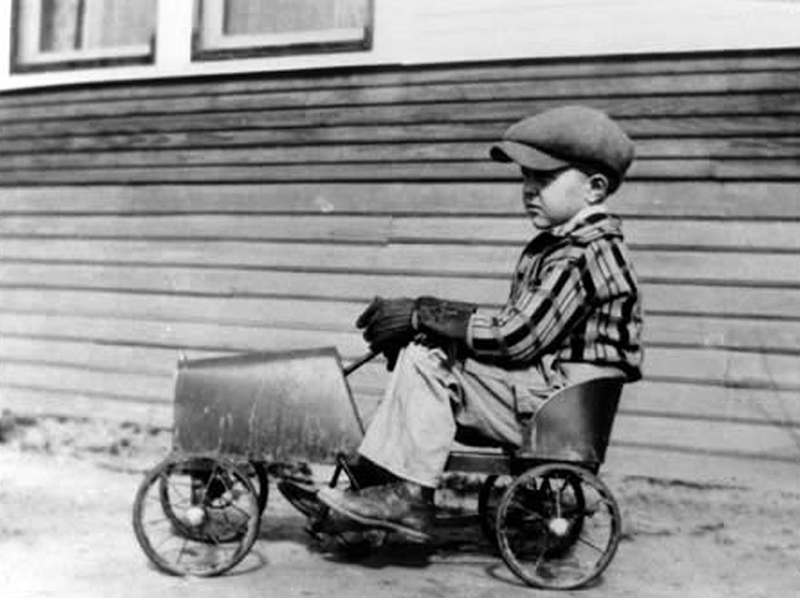 “My granddad, from what I know about the situation, was assigned to go to France in 1919 to take the NC-4 apart and bring it back to the United States,” said Hogan. An important design element of the NC (Navy Curtiss) class was that these flying boats be capable of flying under their own power from the continental United States to the European war theater, because shipping space was in short supply during this period in 1917. With German U-boats sinking almost a million tons of allied shipping every month, the huge NC project got underway, with hopes they could reduce or eliminate those losses. A production contract for four NC flying boats was awarded to the Curtiss Engineering Company of Garden City, N.Y., on Jan. 8, 1918. Unfortunately, the gargantuan flying boats didn’t fare well, and there’s no documentation they helped the United States’ war effort. The NC-1 made its maiden flight on Oct. 4, 1918, powered by three mammoth Liberty motors. The plane, full of fuel and with a complement of 51 passengers and crew, weighed 14 tons, and had a maximum speed of just 80 knots (about 93 miles per hour). “At any rate, the U.S. decided to fly three of the flying boats across the Atlantic just before the end of the war,” Hogan said. The first transatlantic NC flight embarked from the Naval Air Station at Rockaway Beach, New York, on May 8, 1919, with Commander John Towers in command of NC-3. Lt. Cdr. Pat Bellinger commanded NC-1 and Lt. Commander Albert Read was in charge of NC-4. Guided by searchlights and star shells from the station ships, the three flying boats proceeded along the route, but only Read and his crew of five would complete the Atlantic crossing in the NC-4. The NC-1 was damaged upon landing near the Azores on May 17, and was unable to get airborne again. It was left derelict and later sank. The NC-3 was also damaged upon landing, but managed to sail on the ocean surface into Ponta Delgada on Sao Miguel Island in the Azores. Read and his crew reached England on May 31, 1919, having spent 51 hours and 31 minutes in the air from New York to Plymouth, completing the first crossing of the Atlantic Ocean by airplane. The average speed was 69.5 knots. Read and his crew were feted in Lisbon and in Plymouth, and returned to the United States as heroes. The NC project was mothballed, although the Navy did want to return the NC-4 to the U.S.
“That’s where my grandfather came in,” Hogan said. 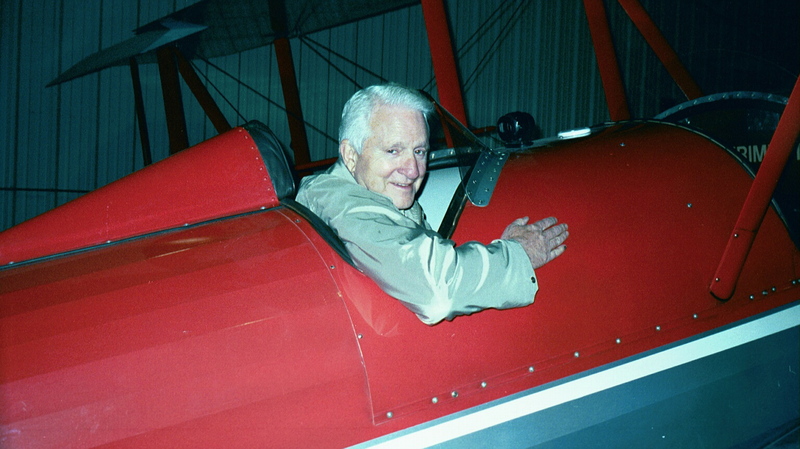 After the plane was returned to the U.S., Claude A. Hogan undertook its restoration. “When he restored the airplane, he cut the old fabric off the wings and recovered them,” Hogan said. “In the process of doing that, he cut the roundel off the wing and folded it up and put it in his suitcase; he took the rest of that Irish linen that was on those wings and cut it up and gave it to my grandmother stretched over picture frames. Hogan said his grandfather never talked about the project. “I only found out about this from my dad long after my grandfather was gone,” he said. The fully restored NC-4 is on permanent display at the Naval Aviation Museum in Pensacola, Fla.
For more information about A-Cent Aviation, call 719-573-2236, or visit[http://www.a-centaviation.com].